Hafen Rohner (Rohner Yacht Harbour) looks back on an eventful past and, at the same time, has reinvented itself for the future. After the closure and dismantling of their lakeside aggregates business the harbour’s owner, together with the architectural firm of Baumschlager Eberle, devised a subtle yet surprising new plan. For the past ten years, the design of the harbour has been part of an ongoing evolution as its focus moved from aggregates to a marina for sailboats and motorboats. It has also been a chapter in the history of a family that has been connected with Lake Constance for many generations. The opening of the yacht harbour and the new marina office in 2000 gave the first clear signal of what was to come. A radical re-design of the shoreline followed in 2005, and the NORDWESTHAUS began construction in 2007. We see in these changes great examples of how to strengthen and deepen the important principles of quality, constancy and ethical behaviour. 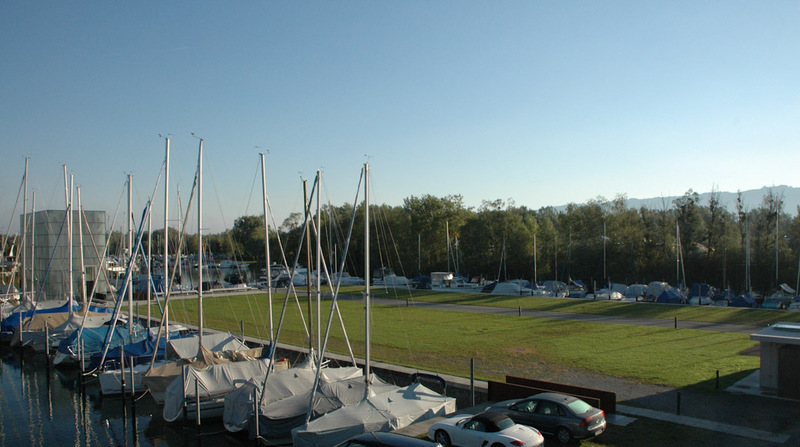 Hafen Rohner lies in the countryside of the Rhine Delta Nature Conservation Zone. This is both a privilege and a responsibility. A successful and respectful meeting of nature and man-made structures is only achieved when nature has the leading role and the buildings and facilities take a secondary position.